Advice and support to entities during surge activities, e.g. start-up / expansion, transition, downsizing / liquidation. Focal point for emergency situations. Analysis and review of key operational support resourcing drivers and practices. Development of operational resourcing standards and advice on operational solutions. Coordination of input to strategic and civilian staffing reviews. The Operational Planning Service leads support to entities during periods of significant activities, including coordination with DOS counterparts and engagement with operational counterparts at UNHQ in providing planning guidance to operating entities. The service provides support to entities on integrated human resources planning processes in the context of establishing new entities and expanding and/or downsizing existing entities. It also leverages the capacities of the Resource Planning and Analysis Section for support on financial planning during such situations. The integration of these related functions allows for a more holistic approach to operational support planning by DOS. To address planning requirements in peace operations contexts, this capacity will complement and work closely with the planning capacity within the Office of the Under-Secretary-General of Peace Operations. The Operational Planning Service also works very closely with the Client Support and Special Situations Section during periods of major activity, such as mission start-up, transition and liquidation. The Support Partnerships Service (SPS) will lead efforts to foster and strengthen cooperation on major partnership-based support initiatives by identifying synergies and comparative advantages in the provision of support services that best meet the requirements of its clients. To achieve this, the service will coordinate and maintain bilateral and trilateral relationships with key partners, such as regional organizations as well as other United Nations actors and governments, for the receipt or provision of operational support from or to Secretariat entities. Pursuing mutually beneficial partnerships will enable DOS to leverage from a broader range of support solutions, thereby strengthening its capacity to provide effective and efficient support services that enable successful mandate implementation. 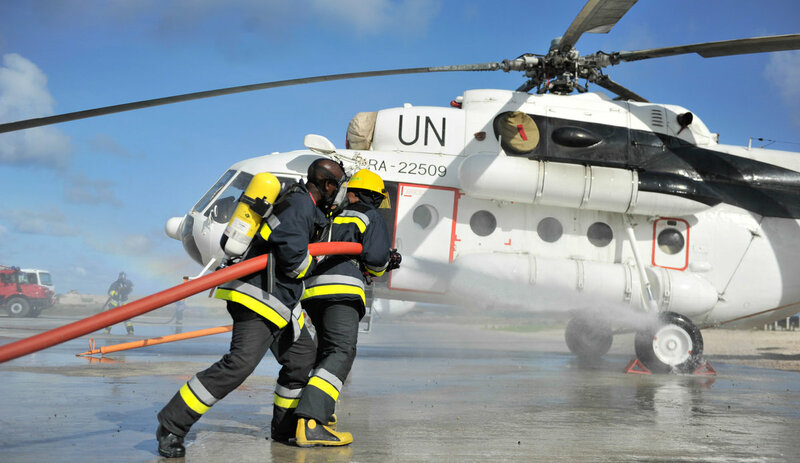 The Support Partnerships Service also includes a dedicated capacity for backstopping the United Nations Support Office in Somalia (UNSOS).